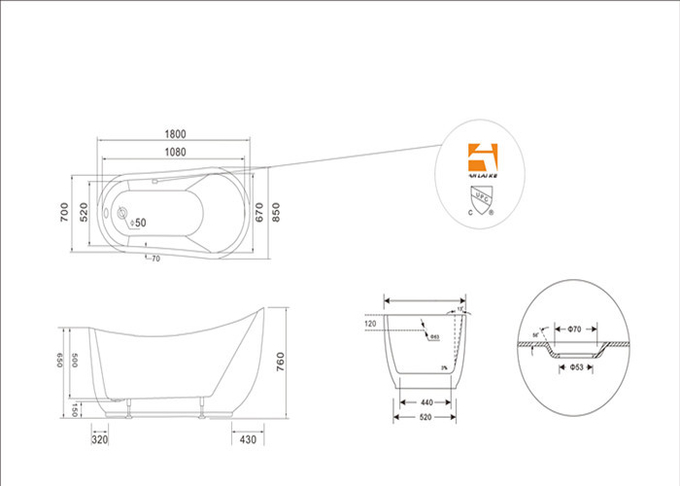 KF-727 freestanding bathtub is a 1 person acrylic classic bathtub,the brand is anlaike.The size of KF-727 is 1800x850x790mm/70.8x33.5x30 in.The color is white or customized.The main function is soaking. 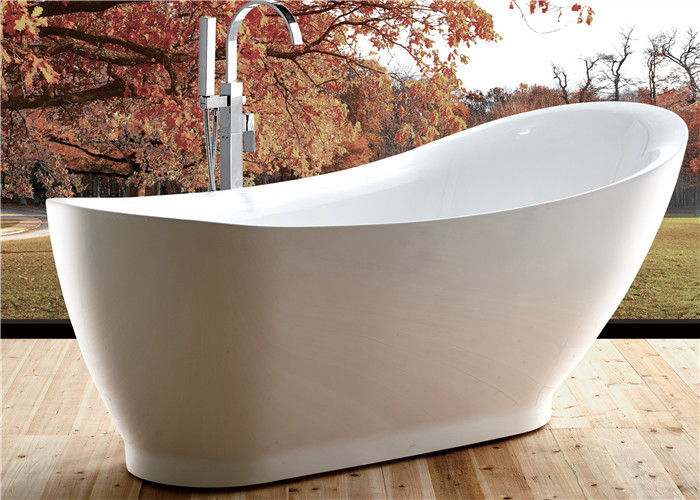 The Acrylic bathtubs are made of acrylic and fiberglass reinforced layers. Acrylic creates a natural warmth to the bathtub, preserves heat longer than a Cast Iron bathtub,and the high gloss surface adds elegance at every angle. The elegant curved design will enhance any bathroom decor and its genuine comfort will enhance the bathing experience. The deep bathing well offers high water capacity and optimal interior space.